Electric conversion technologies typically rely on power systems that operate at constant speed. New methods now allow variable speed controls for all power levels, producing more flexibility in generator control and lower system losses. This new, two-volume handbook presents a comprehensive analysis of these advances, examining topologies, performance, control, and design. 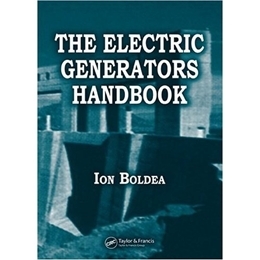 The first volume concentrates on synchronous generators, while the second is devoted to variable speed generators. While each book stands well on its own, purchased together they come in an attractive slipcase-and at a reduced cost-to form a comprehensive reference valuable across the spectrum of engineering disciplines.